Candidates who are already being mentored and wish to try out their images in front of six LCPU/PAGB judges before committing to the “real thing”. Candidates who are sitting their real assessment with the the PAGB this autumn and want to try out images, at the next level up, in a mock adjudication. 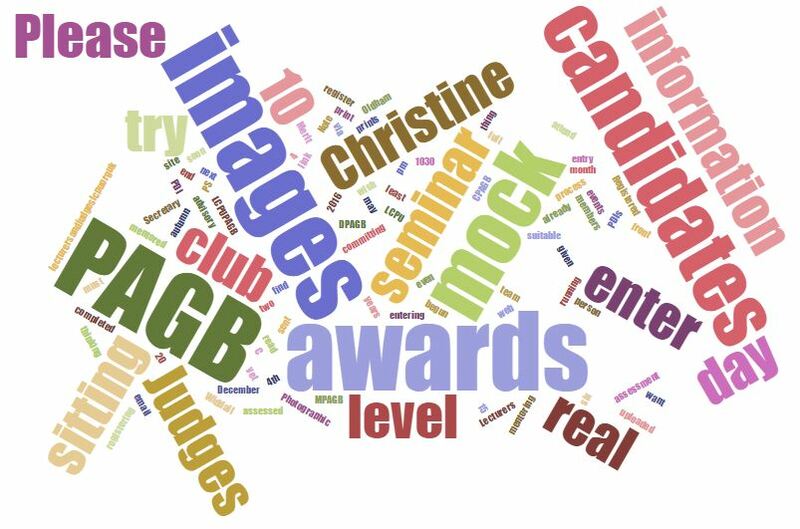 Club members who are thinking about sitting the PAGB Awards soon but have not yet begun the process. Note: You must have completed at least two years of entering your own club events before you can enter the PAGB Awards at the C level. You can find out all about the awards on the PAGB web site. Please read this information before registering for the seminar.